What beats refreshing color in the spring? Not much. It's the season for rejuvenation, regrowth and uprising color after the grey winter. So how refreshing that Nike fell right in line with their updated Manor sneaker for spring. 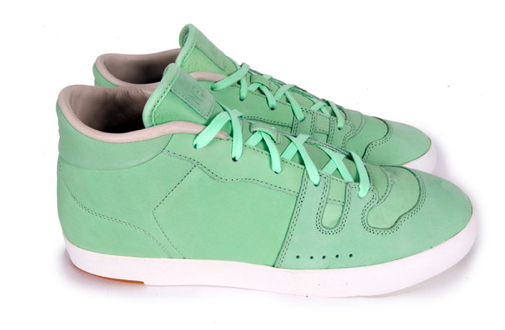 Inspired by John McEnroe's signature "Mac Attack" 80's shoe, this shoe is a cool addition to clean mens spring sneakers and in a color that you don't often see in menswear. However, the shoes resonates a simple strength in the solid shape of the shoe and a yet lighthearted fresh approach to the season in a color that can go with more than one would expect. Fresh mint with your summer white tee? Available now at Bodega in Boston.